One of the most emotional things for a parent to experience is the transition from home to daycare. It is so hard to imagine a complete stranger taking care of your child regardless of their qualifications. First of all, you need to know that you are not alone in feeling this way. 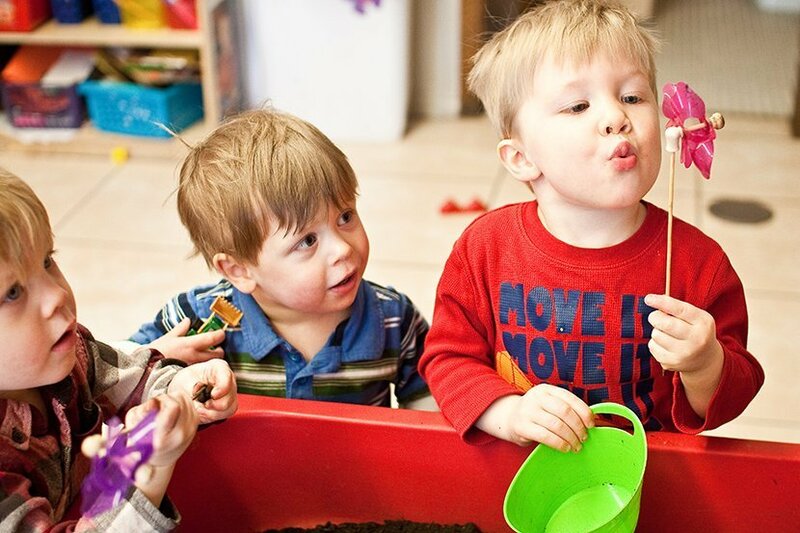 At Alpha’s Discovery Kids Preschool and Daycare in Mississauga, we want to make the transition to daycare as smooth as possible so here are some tips to make the transition easier. At Alpha’s Discovery Kids in Mississauga, we ask parents to take a tour of our daycare centre in order to answer any questions they may have and walk you through the daycare facility so that you feel comfortable with your choice. During the tour, it is recommended that you bring your child as well and see your child’s initial reaction to the daycare environment. It is very different from home! Once you have made the decision to join our daycare centre; bring all the appropriate paperwork and use this opportunity to ask any further detailed questions that you may have about what to expect and what you need to bring with you. At Alpha’s Discovery Kids in Mississauga, we will review your paperwork with you and offer our professional advice to help ease your transition into daycare. Most daycares offer transition days so that you and your child may visit the classroom and get to know the teachers and see the routine of the day unfold. This is a great opportunity for your child to build a relationship with the teacher as well as an opportunity for the parent to get more comfortable with the teachers. At Alpha’s Discovery Kids in Mississauga, we encourage full-time children to come for 3 free transition days before their start date so that you may ease your child into the daycare setting. Keep in mind your child will be at the daycare for long hours and will require a lot of things. Some key things to bring: one set of extra clothes, indoor and outdoor attire(always check the weather), a sippy cup (or two) , a blanket, diapers, wipes and any diaper creams you think your child requires. At Alpha’s Discovery Kids in Mississauga, we offer 2 meals and a snack so you do not have to worry about packing food. Sometimes your child is very attached to a certain toy or pacifier and we encourage you to bring it with you for the transition period so that your child has something familiar from home. It is important to keep the lines of communication open with your teachers throughout the day. Feel free to check up on your child during the transition period to keep your mind at ease during your workday. At Alpha’s Discovery Kids in Mississauga, we have an app that you can communicate through that includes photos and daily reports about your child’s day at daycare. We also encourage families to call and ask us questions at any time. If you are looking for childcare in Mississauga please contact us at Alpha’s Discovery Kids at 905 812 8880.